Ever since I was a child, I always loved the sound of the name ‘Asmara,’ not knowing that it was feminine by nature (which might explain my fascination with it). Asmara, the capital of Eritrea, was an Italian built colonial city whose origins date back to 800 BC and 400 BC. The Tigrinya and Tigre people live around there. Originally, there were four clans living in the Asmara area on the Kebessa plateau: the Gheza Gurtom, the Gheza Shelele, the Gheza Serenser, and the Gheza Asmae. These clans fought each other until the women of each clan decided that to preserve peace, the four clans should unite. The men accepted, hence the name Arbaete Asmera. Arbaete Asmera literally means in Tigrinya language, “the four (feminine plural) made them unite.” Eventually Arbaete was dropped and it has been called Asmera, which means “they [feminine, thus referring to the women] made them unite.” Majority of non-Eritreans call it by the Italianized version of the word: Asmara. Only Eritreans, and their neighbors remain loyal to the original pronunciation, Asmera. 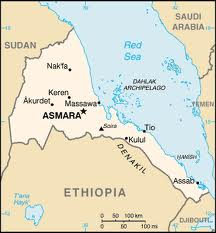 In the early days, Asmara was part of the kingdom of Medri Bahri, a medieval kingdom in the Horn of Africa, whose capital was Debarwa. On October 9th, 1876, the Emperor of Ethiopia, Yohannes IV, made his greatest war general Ras Alula, governor of Medri Bahri. Once Ras Alula became governor of this province, he moved the capital from Debarwa to Asmara. 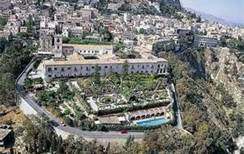 He built a palace on top of a hill in the center of Asmara; from there, he devoted himself to defending the northern borders of Ethiopia against Italian, and Anglo-Egyptian aggressors. In 1889, Asmara was occupied by the Italy, and was made the capital city of Eritrea by Governor Martini in 1897. Since then, Asmara has benefited from a strong Italian architecture, and was called Piccola Roma (Little Rome) because of its strong resemblance to Rome. Asmara represents perhaps one of the most concentrated and intact assemblage of Modernist architecture anywhere in the world. Not built for Eritreans, Italians built Asmara primarily for themselves, as indicated by separate areas designated for Italians and Eritreans, each disproportionately sized. Enjoy this video telling you about the Little Rome of East Africa, Asmara, the beautiful city embodying feminine grace and beauty.